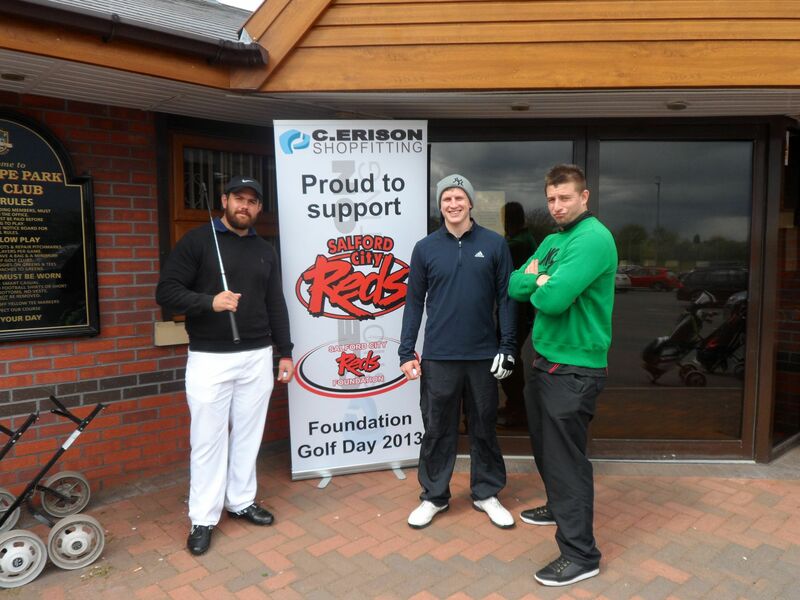 Last week, on 23rd May, Boysnope Golf Club played host to the Salford City Reds Foundation’s annual golf day, held to raise funds for the foundation in order to continue to work across the Salford community. On a fine spring day, a number of teams entered the 4 ball format tournament, aiming to win one of a number of prises, as well as the respect of their peers in the club house while raising funds for the foundation. Joined by a team of Salford City Reds first teams (pictured), as well as a foundation team and teams made up of prominent local business leaders and community members all came out in support of the event which has become a real highlight of the SCRF calendar. 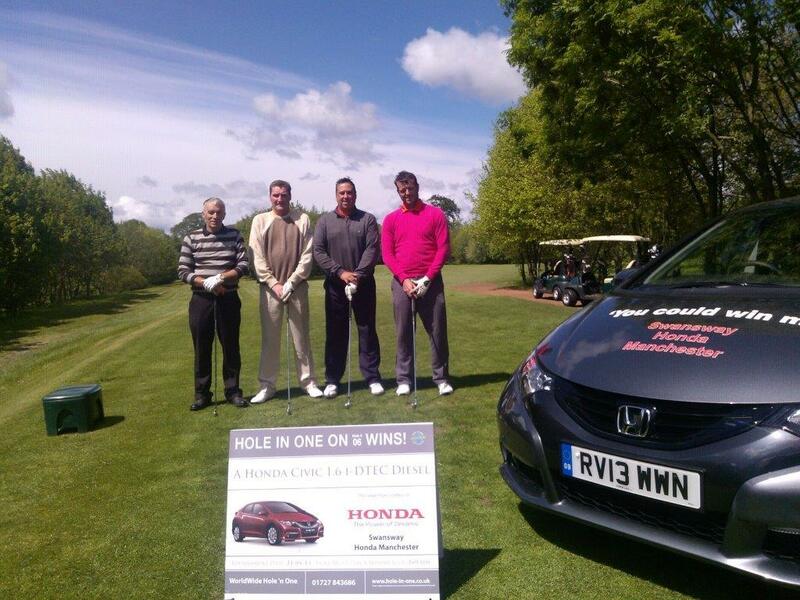 With the main event sponsored by C. Erison and a host of prises to win including a Honda vehicle for a Hole-in-One, courtesy of associate sponsor Swanson Honda, there were big prises as well as friendly rivalry to play for. Other sponsors of the event were Austin Wilkinson & Sons , Cardea Solutions and Salford City College, thank you must go to all the sponsors for their support. Precision Legal, steering his team to victory, as pictured collecting the trophy. Narrowly being beaten into 2nd and 3rd place were the teams of Carlsberg UK in 2nd and C. Erison (Team 1) in 3rd. 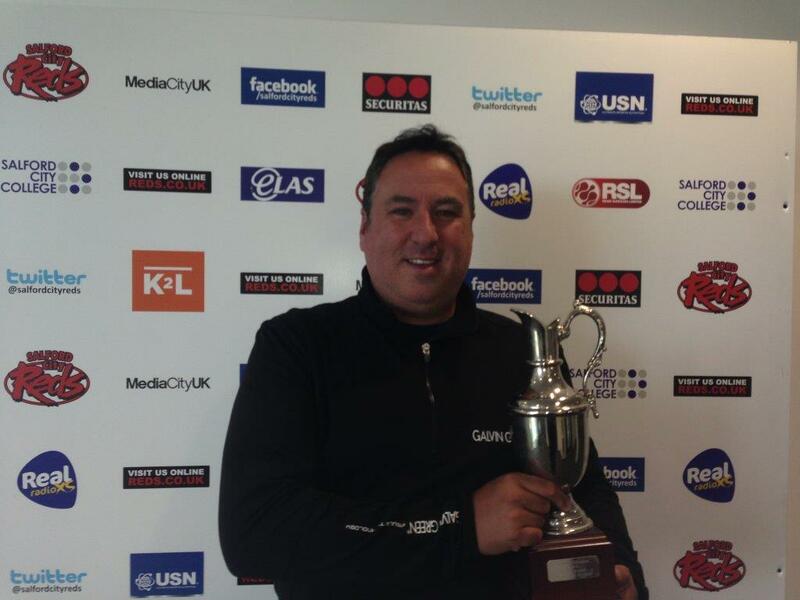 Other winners included Ollie Danby of Red Abott for the putting competition, as well as Stu Prizzy of Securitas for his nearest the pin shot on the 6th hole., with the longest drive competition was won by Salford City Reds own Liam Foran.